Beautifully situated between the rocks. The campsite of Mowani has spacious camping pitches and good sanitary facilities. You can take hot showers here, because the water is heated by a wood fire. The Mowani Lodge staff will light this for you in the evening. This campsite is great for cooking outside on the braai and the outdoor kitchen amidst the rocks. On the campsite is no electricity available. 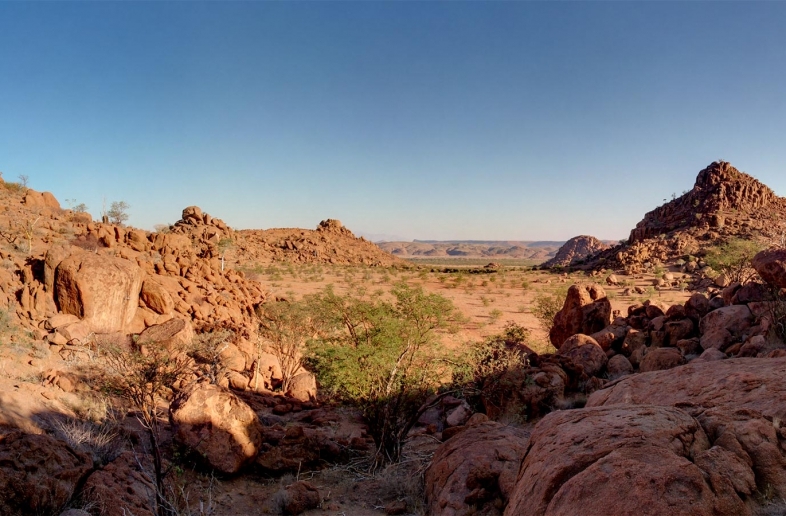 Mowani Camp is included in several Namibia and Botswana self drive 4×4 trips. Er is geen elektriciteit bij de kampeerplaats. 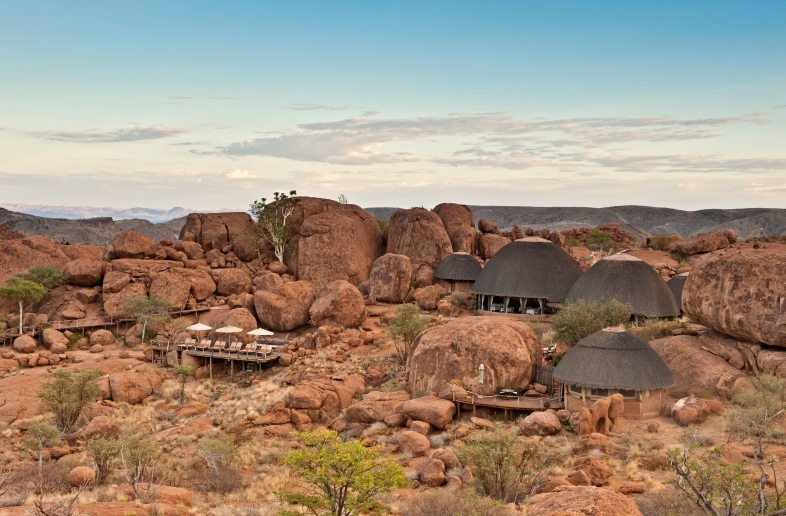 Luxurious lodge near the famous Twyfelfontein.